I have had a number of people ask me about the Six Nations fixtures for the next two seasons, so I have published the dates of England games below with a link to the rest of the games underneath. 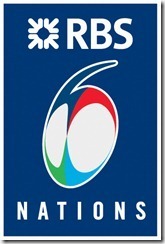 This will be the first major international tournament after the Rugby World Cup and it will be interesting to see how many players succumb to the lure of the Euros being offered by French clubs; the squads for the 2016 Six Nations could look quite different to those that competed in the World Cup. The fixture list is a mixed bag for England with the campaigns in both years ending with tough away games in Paris and Dublin. There is only one Sunday game each year, both against Italy, and it might be wise to book early for a Valentine’s Day weekend in Rome in 2016. At least there are no Friday nights games in Cardiff for England to look forward to.